For years, I’ve dreamed of taking my children to a dude ranch. Although I love our life in the city, it’s a far cry from my own experiences growing up on a farm. So while I can’t give them regular riding lessons or space for an overgrown farm dog, I can use our vacation time to show them the world beyond New York City. This year, we headed west to Lone Mountain Ranch. For years, I’ve drooled over the photos of places like Ranch at Rock Creek, Paws Up and Brush Creek, but Lone Mountain stood out in a few areas: it was easier for us to reach (direct flights from NYC to Bozeman) and less pricey, plus it had a great story. An original Montana homestead, this 100-year-old farm has functioned as a cattle ranch, a summer boy’s retreat and a logging camp. Some of the older cabins originally served as schoolhouses, and the ranch was the first place in Montana to have electricity. Dude ranches don’t come cheap. Sticker shock is quickly overcome by looking at what’s included in the price. Most ranches (but not all) include your meals and activities. Find out what the extras are so you can budget for those. We paid for off-property excursions (white-water rafting and fly fishing) but everything on property was included, meaning we rode horses every day, followed a great mountain biking guide through woodland trails, went on hikes and barbeques and paid nothing beyond the nightly bill. Ditto for the kids. Consider the age of your children. One of our favorite aspects of this trip was the quality of the kids’ activities. My 8-year-old, who had almost no horseback experience, joined multi-hour trail rides with the amazing wranglers; my 5-year-old learned archery; and we’d return from our adult activities to find a crew of kids practicing fly-fishing casts on the lawn. But for children much younger than 5, you’ll need to hire extra babysitting and there will be some activities (longer rides, ropes courses, etc) that are too challenging. 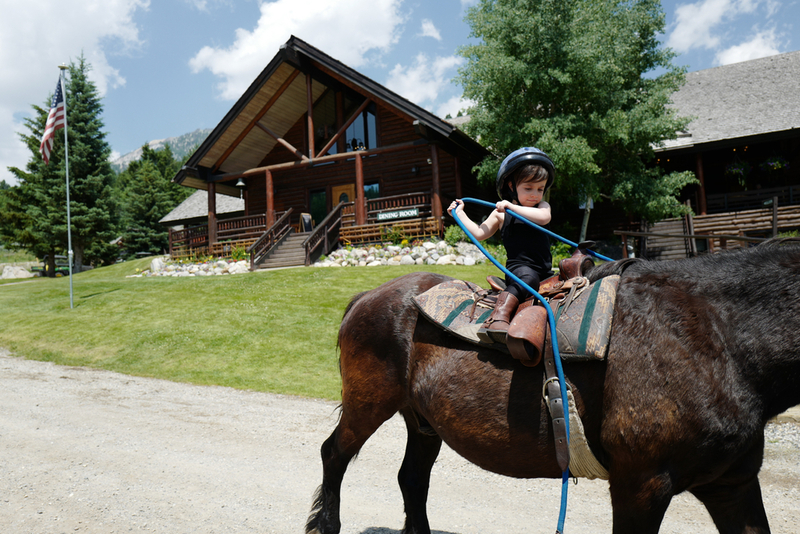 Although I would have loved the trip a few years ago, and we traveled with another family who had a 3-year-old, age 5 may be the right time to start thinking about a dude ranch. 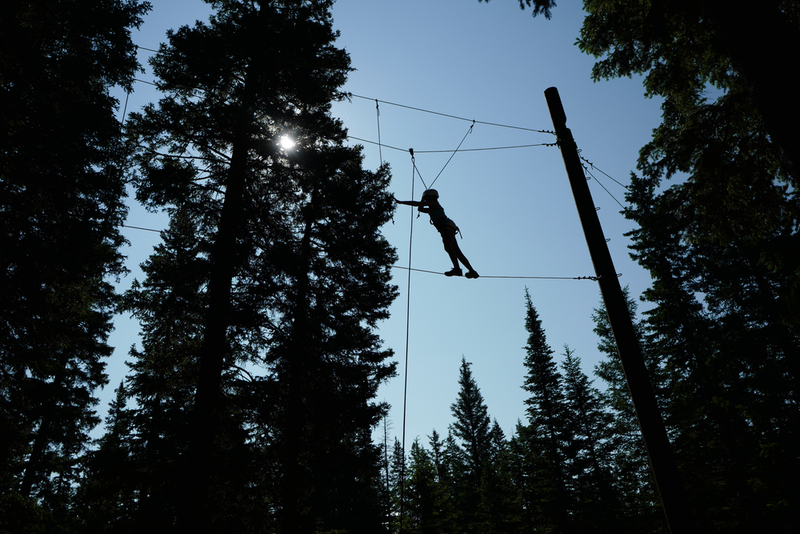 Most dude ranches operate like family camps, so there are set check-in and check-out dates. 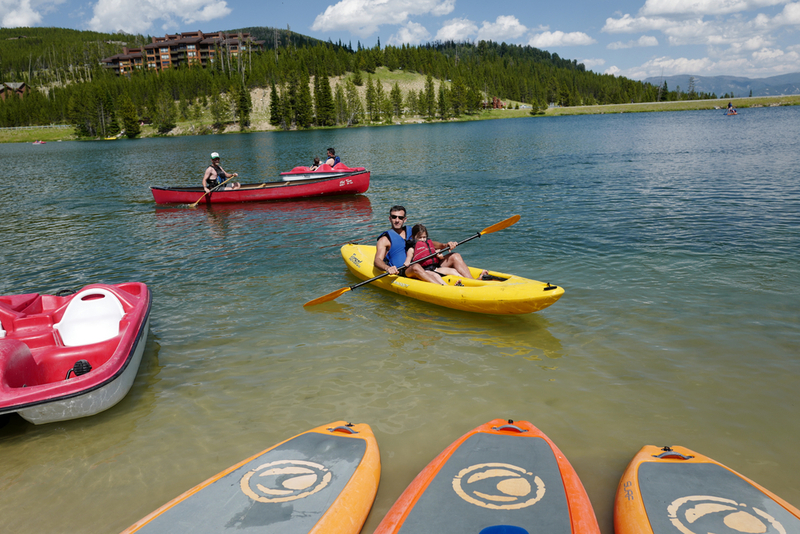 You’ll struggle to find ranches with flexible arrivals and departures (Lone Mountain is one of them), but if you do, ask what activities occur on each day of the week. At ours, there was a children’s rodeo every Friday morning that shouldn’t be missed. When booking your trip, find out if there are similar attractions you’ll want to schedule around. I’m constantly trying to force everyone into a carry-on, but this is one trip where more is more. Clothes will—and should!—get dirty, so you won’t re-wear a lot of what you bring without a launder first. Layers are also essential in areas like Montana and Wyoming, since the temps can drop to a chilly mid-50s at night and soar into the 80s during the day. Uniqlo’s down jackets weigh nothing and roll into a very small size—we used ours every morning—then add a few pairs of jeans and multiple tees. Long-sleeves are good for extended rides to protect you from sun and bugs. And you’ll live in your boots, so buy or borrow a pair that won’t cause blisters. While I spent much of my childhood on horseback, that’s not the case for my husband or for most of the guests at a ranch. The wranglers and the horses are pros at making beginners feel comfortable, and all of our outings were fun enough for more experienced riders but safe enough for those just starting, even the kids. This trip goes down as one of our best. We can’t wait to head west again. -Photos courtesy of the infinitely talented Josh Wolfe.